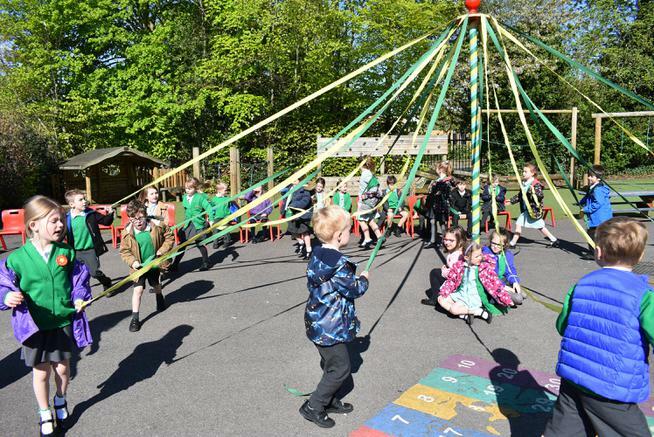 On Tuesday morning the sun shone as we danced around the Maypole. 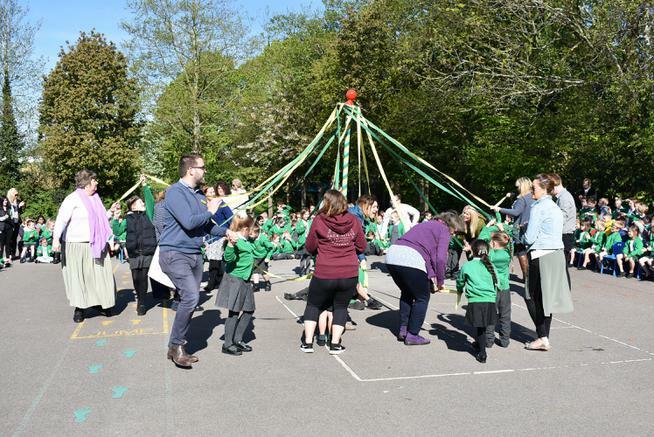 This is a traditional dance; people used to attach ribbons around a tree and dance around to celebrate the warmer weather. 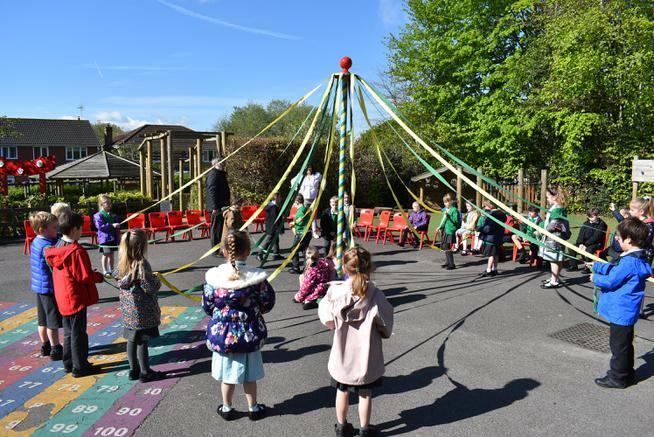 We learned two dances making a simple plait with the ribbons and the Grand Chain. We all had lots of fun.